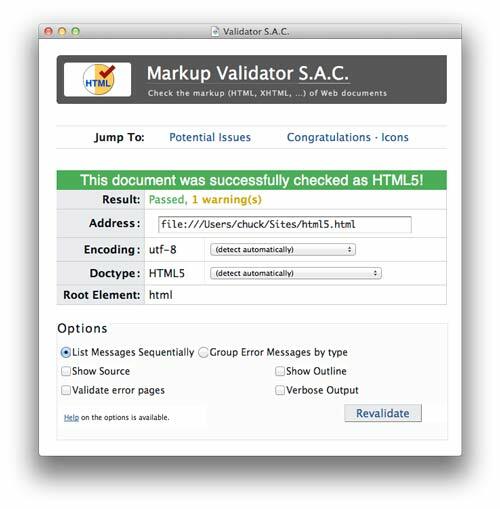 I was looking for a better way to do HTML validation on web pages running on my local Mac. I found and have been using the stand alone validator from http://habilis.net/validator-sac/. Works great and I love that it validates my local pages.